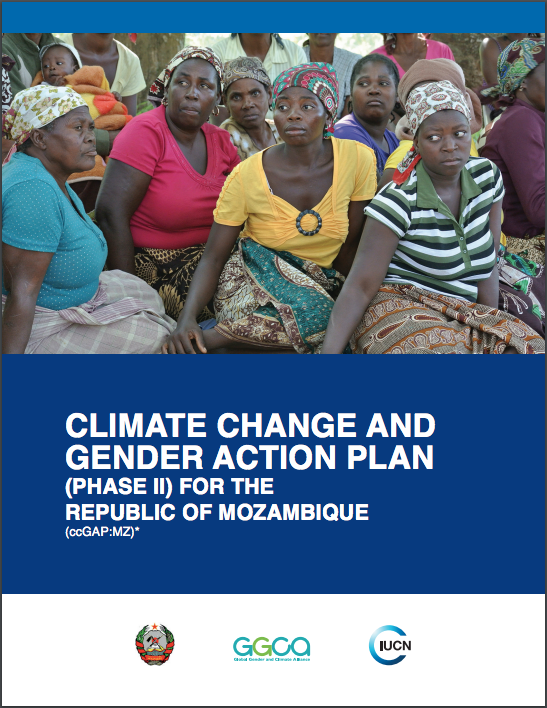 The Mozambique Climate Change Gender Action Plan (ccGAP) report was the catalyst for the inclusion of gender equality measures in the development of the country’s Strategic Program for Climate Resilience under the Climate Investment Funds. Producing Climate Change Health Kits that identify plants by region that have a positive impact for vectors, water quality, and other associated climate health risks, and disseminate to pharmacies. Train local women in the collection of meteorological data and provide appropriate tools for accurate data collection. Raise awareness about more efficient processing of products to improve women’s management of natural resources in coastal marine sectors. 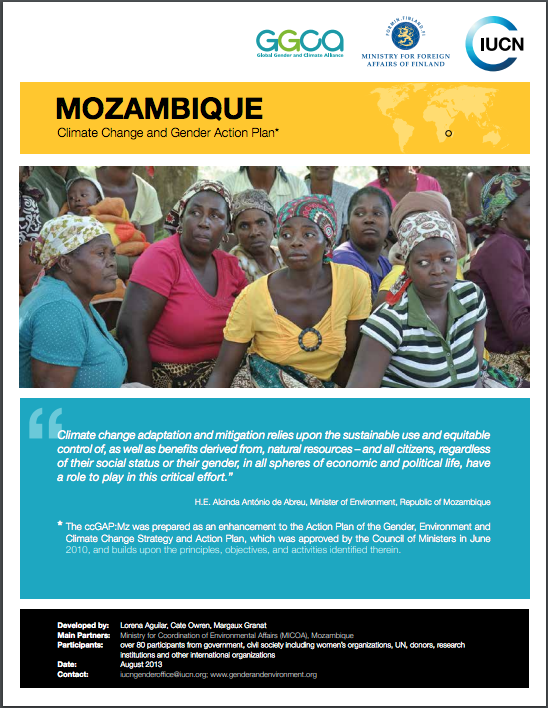 Click to access the full Mozambique ccGAP. Click to access a factsheet providing a summary overview of the Egypt ccGAP. 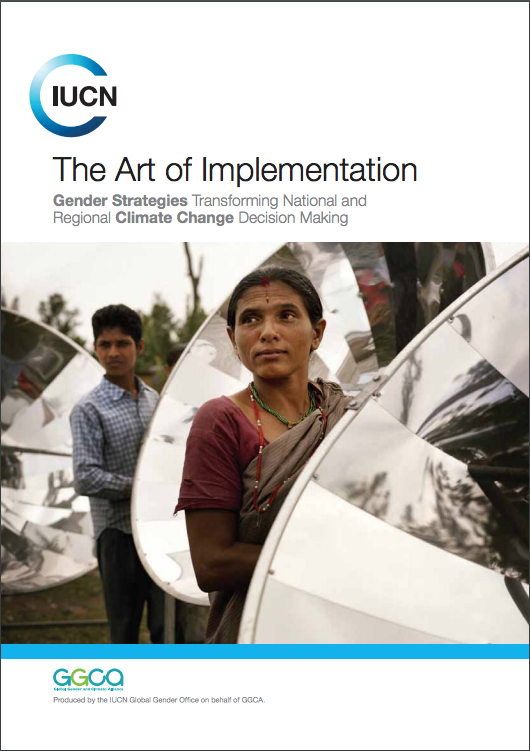 For more information on our ccGAP methodology, please click to read our publication The Art of Implementation: Gender strategies transforming national and regional climate change decision making.